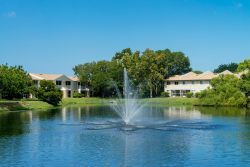 The Bradenton and Sarasota areas of Florida have some of the most beautiful, lush, and serene parks that are absolutely perfect for a picnic. 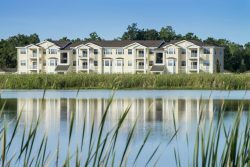 Whether you prefer to have lunch in the warm afternoon air, dinner as the sunsets golden, or even breakfast with coffee in the early morning, consider checking out these beautiful picnic areas near Forest Properties apartments. If you and your crew are looking to spend the afternoon picnicking and exploring new areas, Emerson Point Park is exactly what you are searching for. Not only does this park have beautiful trails for walking, jogging and bike riding, but there are plenty of places to plant yourself or for a picnic among nature. Emerson Point Park is located on Snead Island, surrounded by the sparkling waters of the Manatee River and Terra Ceia Bay. With beautiful wooden bridges and a large picnic area near the visitor center, this will surely because a favorite spot. If there is one local attraction everyone has been to at least once, it’s the Bradenton Riverwalk. There are plenty of areas to walk and picnic if you’re looking to escape during your lunch hour. Besides being along the river, there are great pieces of art and sculptures to admire, a pier, walking docks, and covered swing sets. Sounds like a beautiful place to grab lunch and swing the afternoon away! Open air dining enthusiasts of Ranch Lake Apartments will love visiting Bayfront Park this summer. This area is a great spot to stop and enjoy the views of the bay and downtown Sarasota at any time of the day. While bringing a picnic lunch is always a good choice, consider filling up your thermos with some cold lemonade and walk along the river for stunning views. Grab your woven picnic basket and head over to Palma Sola Botanical Gardens. This area is a small slice of heaven located in Bradenton, filled with lush greenery and the most vibrant tropical flowers you could imagine. You may have plans to have a picnic lunch, but we promise you’ll want to spend more time in this small, but lovely botanical garden. Good to Know: The garden is known for birds and butterflies, so keep your eyes open and track how many types you see! Attention dog owners (and dog lovers) of The Lexington! Bird Key Park will be the go-to spot for you and your furry friends this season. This dog-friendly beach front park has clean, clear water and is the perfect place to sit and relax with a picnic lunch. Just be sure to bring some shade and freshwater for your pup to stay cool! Where are your go-to spots to pack a picnic lunch? Share your favorite local picnic tables or waterfront benches with us on Facebook.